This page is a list of many of the restaurants that Fenton has to offer. The comments on these restaurants are based on mine. 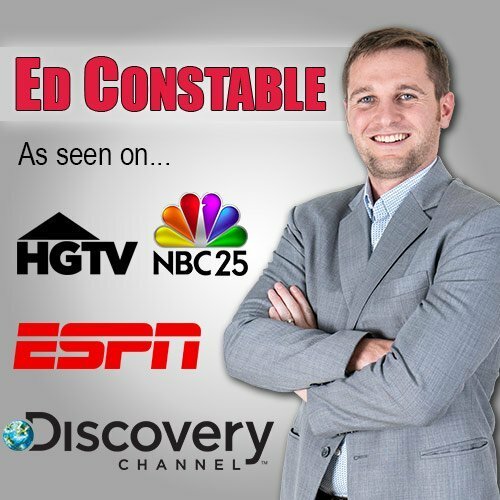 Ed Constable, and my wife Laura’s personal experiences. We love to go out to eat and appreciate a good meal. I hope some of the info on this page can help guide you to a nice meal or evening. APPLEBEES – 18115 SILVER PKWY, FENTON, MI (810) 714-9230 HOURS: 11:00 AM – 12:00 AM Although this is a national franchise they have come a long way in the last few years. The food and service at this location have been good and consistent where I have had some inconsistencies at other locations. Ed’s Recommendation: Four cheese Mac and Cheese. It is great mac and cheese and the crispy chicken the serve on top is amazing. Laura’s recommendation: the oriental chicken salad, the dressing is hard to beat. BANGKOK PEPPERS – 1429 N LEROY ST, FENTON, MI – (810) 714-4607 HOURS: 11:00 AM – 9:00 PM Closed Mondays and Sundays This is one of my lunch favorites. The portions are large enough to share with someone. There cheese roles and vegetable roles are also very good. Ed and Laura’s personal favorite: is the Pad Thai chicken. BEALE STREET SMOKEHOUSE –(Patrons beware they charge a credit card processing fee) 2461 NORTH RD., FENTON, MI 810 750-0507 HOURS: 11:00 AM – 9:00 PM This BBQ joint is good. Ed and Laura’s favorite is the pulled pork. We love that they have a few good sauces to choose from. Its worth buying an extra piece of cornbread. BOSTON’S RESTAURANT & SPORTS BAR – 3324 OWEN RD, FENTON, MI – (810) 750-5800 HOURS: 11:00 AM –2:00 AM If you at looking for a sports bar atmosphere, good food, and fantastic service this a place to check out. This is the type of place that you pop rarely gets below half before they are bringing you another. Ed recommends the steak bites or the spinach artichoke dip with the Pita chips, keyword there is the Pita Chips, they are amazing. Laura’s recommendation: for this restaurant in Fenton is the Sicilian Pizza. BUFFALO WILD WINGS – 3190 SILVER LAKE RD, FENTON, MI – (810) 629-0099 HOURS: 11:00 AM – 1:30 AM If you like wings they have the best selection of sauce. You can get a better quality wing at other restaurants but it still a decent place to watch a game, I would choose Bostons over it any day of the week though. CRUST – (Patrons beware they charge a credit card processing fee)-104 W CAROLINE ST, FENTON, MI – (810) 629-8882 HOURS: 7:00 AM – 4:00 PM They serve an average sandwich for $2-3 more then anyone else would charge for the same thing. Diffidently not a place to get a shake- they bring it out and it looks amazing with a large piece of cake on top, the cake is average at best and the shake is more like chocolate milk. With 5-6 good sips, it will be gone. If you want a better shake just hit McDonald off Owen Rd. They have also been known to charge their 3% credit card fee when you use a crust gift card. CIAO ITALIAN BISTRO & WINE BAR– 110 S. LEROY ST, FENTON, MI – (810) 354-8555 HOURS: 11:00 AM – 10:00 PM This restaurant that came to Fenton in 2018 has got it right. The interior is very clean and classy. The servers are all well dressed and polite. Although their menu is not huge I feel that anyone could find something on it that they would like. They may have the most extensive wine selection out of any restaurant in Fenton MI. After your order, they bring our bread with oil. The bread is soft and full flavored but not overpowering. Ciao is not an inexpensive place to go get a dinner but I don’t think it is overpriced for the quality of the dishes they serve and the dining experience. Steve the manager is a class act, he is always there and really wants you to have a first class experience and with my visits, he has truly delivered. This is the best place I have found in Fenton to get scallops. The salmon was also very good. Laura has enjoyed every meal she has had. If you are looking to go out for a nice dinner I would recommend Ciao, but make a reservation because it can be busy. FENTON FIRE HALL – 201 S LEROY STREET, FENTON, MI – (810) 936-0442 This place diffidently is one of the restaurants in Fenton, MI that makes Fenton, Fenton. If you are from out of town this would diffidently be at the top of the list of place to hit while you are here. They have an amazing draft beer selection and their food is good. They go the extra mile of many of their dishes. They are famous their baked Mac & Cheese. (same receipt from the Clarkston Union) Ed’s Recommendation: Is the Korean Pork Tacos. They are served with great fries that come with an amazing dipping sauce. Laura Recommendation: is also the Korean Pork Tacos but her second favorite is the Trend kill sandwich. FENTON WINERY & BREWERY – 1370 N. LONG LAKE RD, FENTON, MI – (810) 373-4194 HOURS: 3:00 PM – 12:00 AM The best local brewery that we have. They typically will have something on that anyone would like. They have two buildings, The main part that is open to the public is also where they brew the beer. If you want food is is more a place that you would get a snack then dinner. This is a great place to hit before or after a dinner. The Front building that you see from the street is beautiful and is a great place to host a large event. FENTON DELI – (Patrons beware they charge a credit card processing fee) 15258 SILVER PARKWAY FENTON, MI 48430 – (810) 433-0712 HOURS: 10:30 AM – 9:00 PM Bring you cash because they do charge a CC fee that is almost 4% which is unfortunate but they do make the best sandwich in Fenton, MI Ed’s Recommendation: The Marlene Monroe on Sower Doe bread. This sandwich is a little spicy so you are aware but it is amazing. It is also good with they everything bread. Laura’s recommendation: get large and split it with someone. GOKI GOKI – 1243 N. LEROY ST. FENTON, MI 48430 – (810) 215-1117 HOURS: 11:30 AM – 10:00 PM I have not heard anything bad about it. I have always had a good experience when I go. Their menu is hard to navigate but the staff is very helpful to guide you to something you would like. HABIBA MIDDLE EASTER GRILL – 1545 N LEROY ST, FENTON, MI – (810) 354-8310 HOURS: 11:00 AM – 9:00 PM This is the best middle eastern restaurant in Fenton, MI. I have had several things and they were all good. The meal is served with a really good pita. They also have some other dips for the pita that are really good other than just garlic and hummus. If you are looking to get a nice dinner or you are looking for a place to get a value-packed lunch this is the spot. LEGENDS SPORTS CAFE – 3235 W THOMPSON RD, FENTON, MI – (810) 714-9100 HOURS: 11:00 AM – 2:00 AM Ed’s recommendation: The barbecue chicken nachos. Now Laura really likes them also but I could eat them 4 times a month and she wants them 1-2 times a month. They also have great beers on draft and it is also a great place to watch a game with several tv’s and a large projector. At night you may even be able to do a little dancing. LUCKY’S STEAK HOUSE – 17500 SILVER PKWY., FENTON, MI (810) 750-1400 Great bread with dinner. Really is a great value. They have some killer combos that will give you a small steak, small lobster tails and some amazing sides for a very reasonable price. I have always left happy and full. SAGANOS STEAKHOUSE – 134 N LEROY ST, FENTON, MI 48430 – (810) 715-5765 Now I don’t even like sushi and I like their sushi. If you are looking for someplace fun to go eat go to Saganos and get Habatchi, It is a great dining experience. If you have not been to anything this before just get habatchi with chicken or chicken and steak. And get the yum yum sauce. Before you get your main course they bring a lentil soup that is fantastic then they bring a small salad that has this dressing that is heaven in your mouth. Perfect place to go to on a birthday or a 2nd date. SAGEBRUSH CANTINA – 14284 N. FENTON RD, FENTON, MI – (810) 629-3955 They have a great call ahead system so call ahead because it can be busy. I really like the free chips and salsa. This a great place to get lunch or dinner. I love there El Cart menu for lunch. My most popular items are the beef burrito wet. WIth getting it wet its like $5. I also love their fish tacos. Even though this is a Mexican place they have some of the best chicken tenders that you will ever have, their ribs are also good. I don’t think I have ever had a bad meal, the service is good just be sure to call ahead because the wait can be really long. THE FENTON HOUSE – 413 S LEROT St, FENTON, MI The remodel is very nice and tasteful. It is nice that you can now get a beer with dinner. The breadsticks that come with the meal are amazing. These are the type of breadstick that if you are having a party at the house pick up a couple dozen and everyone will love you. THE FIREPLACE BAR & GRILL – 2238 NORTH LONG LAKE ROAD, FENTON, MI (810) 629-4505 Killer pizza- fun place to go later at night. THE LAUNDRY–(Patrons beware they charge a credit card processing fee) –125 W. SHIAWASSEE AVE., FENTON, MI – (810) 629-8852 They are known for their sandwiches on lunch and a fine dining dinner experience. If you are looking for a good sandwich on lunch and you are ok with paying a credit card fee I would hit Fenton Deli on Silver Parkway. THE PENALTY BOX – 2400 OWEN RD, FENTON, MI (810) 750-6200 HOURS: 12:00 PM – 1:00 AM This place will always hold a place in my heart. This is where I met Laura. They also bring in some local big-name bands. Good beer selection. THE RELIEF & RESOURCE CO. –(Patrons beware they charge a credit card processing fee)– 113 1/2 MILL ST, FENTON, MI – (810) 215-1100 HOURS: 5:00 PM -MIDNIGHT Closed Sunday Not a place to get a beer. Very talented bartenders. To access, you have to go into the Taco Stand and hit the Original Pringle button.